Span, 34, gets a $4 million buyout and becomes a free agent. He was acquired in a May trade with Tampa Bay and played in 94 games with the Mariners, batting .272 and driving in 30 runs. 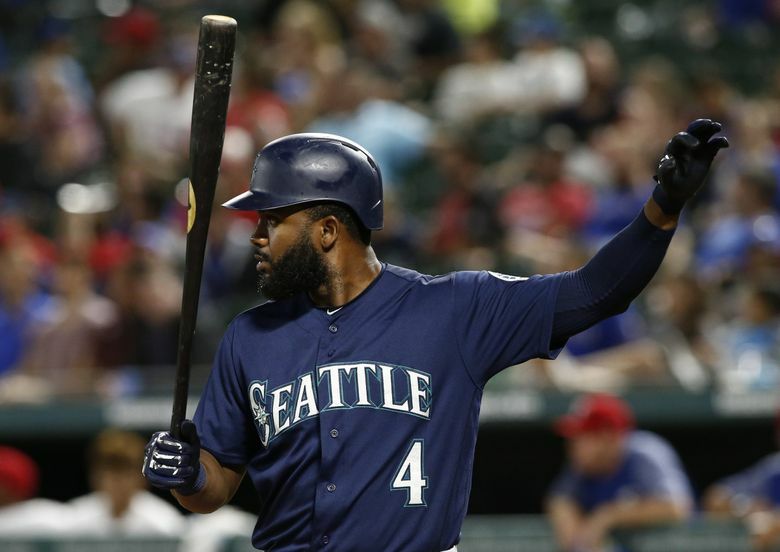 The Mariners have declined their part of outfielder Denard Span’s $12 million mutual option for next year in favor of a $4 million buyout, making the 34-year-old a free agent. Span, who exercised his part of the option, was acquired by the Mariners in May in a trade with Tampa Bay and became one of the team’s most consistent hitters. Span hit .272 with 15 doubles, seven home runs and 30 RBI in 94 games with Seattle. He played 87 of those games in the outfield, almost all in left field. Span was traded to Tampa Bay from San Francisco last offseason and relished the chance to play in the area where he grew up. But with Seattle needing a left-handed bat after the suspension of Robinson Cano as it tried to contend for a playoff spot, he was traded to the Mariners along with reliever Alex Colome for a pair of minor-leaguers.